Southwest Chicken Chowder is a comfy-cozy meal the chilly winter nights! We LOVE having Miss Nichole from Pure Clean Fitness come to hang out with us! 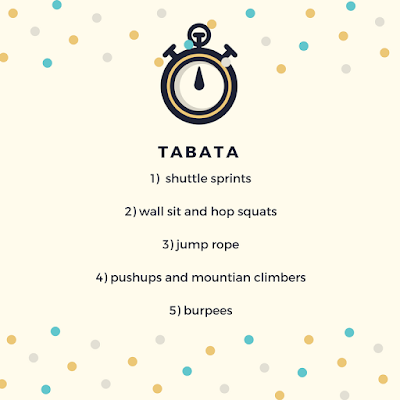 She always inspires our overall fitness- today, she’s giving us awesome Tabata Workout! Southwest Chicken Chowder is going to keep you all comfy-cozy this weekend! We love it. It’s made with so many amazing peppers and then made a little creamy with whole milk which works just great, but you can also omit it if you’d rather not have dairy too. Southwest Chicken Chowder is just one of the many soups we love to make to stay warmed up in the winter, you might like some of these others too! Greek Fasolatha Soup , Italian Tortellini Soup, Slow Cooker Chicken Taco Soup , or Thee BEST Clam Chowder. Now we’re checking out Nichole’s Tabata Workout…. It is Fit Friday and a whole new month. A new month means we are that much closer to summer, I can’t wait. It hasn’t even been that bad of a winter here, but I am really not one for winter at all. I much prefer sunshine, shorts, and fresh air. But for now the workouts are staying indoors. 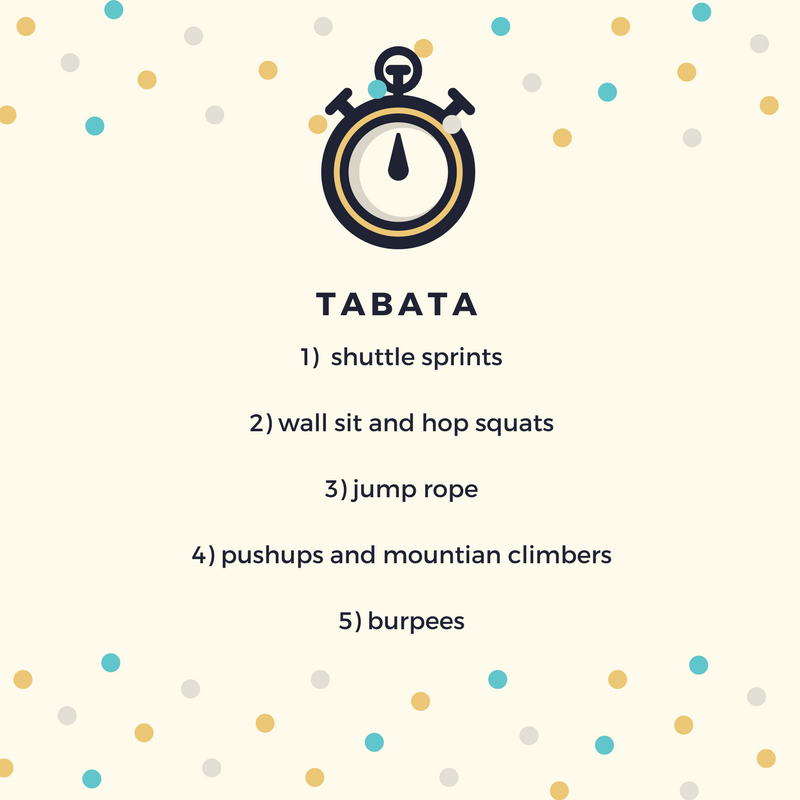 Today we are talking all about Tabata. Tabata workouts are all out balls of fun. For those that need a refresher on the timing; 20 seconds all out followed with 10 seconds of recovery for four minutes. In between each four minute round you get a one minute recovery, if you find that you don’t need it then you need to work harder! We have five different rounds in today’s Tabata workout. In two of the rounds you will see two exercises listed, that means that you are alternating movements during that round. The first 20 seconds you will do the first move the next 20 seconds you will do the second move. Remember, this is meant to be hard. These are all out pushes for 20 seconds. Make it hard….make it count! Southwest Chicken Chowder has gotta go on your menu this weekend~ it’s amazing! Pre-soak the beans overnight in 6 cups water. Cook beans for about 2 hours with water and salt. Roast, sweat, and peel the jalapenos, Anaheim’s, and pasilla peppers; de-seed and dice them. Dice the bacon and cut chicken into medium dice cubes ½ inch. In a large heavy duty pot brown the bacon and remove from pan, set aside. Add the chicken with 1 teaspoon cumin and chili powder. Saute until browned, remove chicken; set aside. In same pot sauté all the chilies-peppers, onions, garlic and shallots. Add the butter and melt, add the flour and make a roux stirring and cooking for 2 minutes. Add the chicken broth; stir well. Bring to a simmer, season with the rest of the spices and season with sea salt and pepper. Temper some of the hot chili with the milk; slowly stir into the chili. Bring to a low simmer; stirring regularly. Drain the beans, add beans and cooked chicken; simmer on low heat stirring regularly for about 30 minutes.